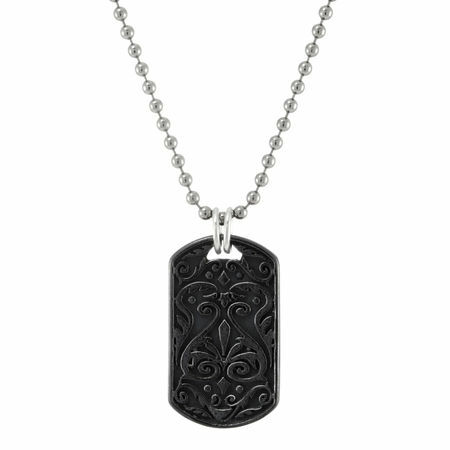 From Edward Mirell's HERITAGE collection, this black titanium dog tag necklace is stylish and unique! The cut out design is very cool! The top surface part is high polish finish while the recessed area is a rougher matte finish. The result is that the design really stands out. It's distinctive pattern makes this one cool dog tag necklace! Even the double bail out of sterling silver adds to the appeal. Makes a great addition to your jewelry collection. Chain length 20". Chain: Titanium Ball Chain 20"
I added this to make a complete necklace that would also hold my sunglasses. I have received great compliments about the combination. 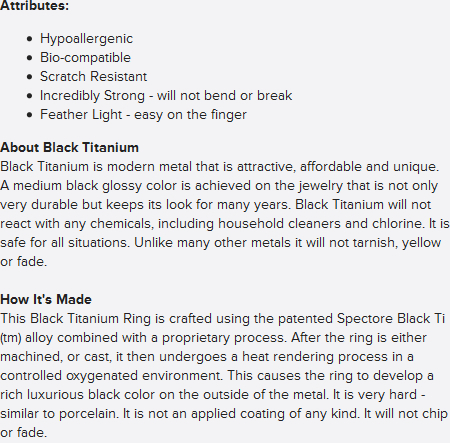 I like this product because its different, stylish .